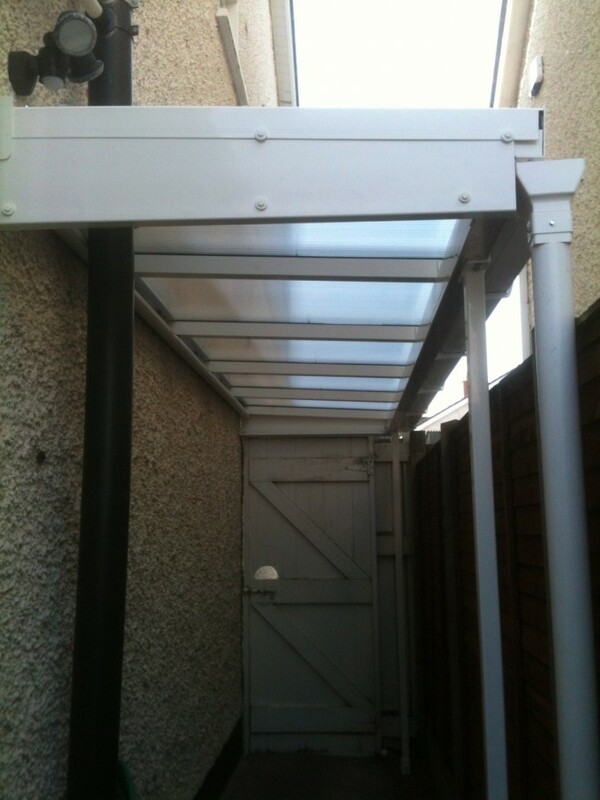 White coloured walkway installed between 2 walls. 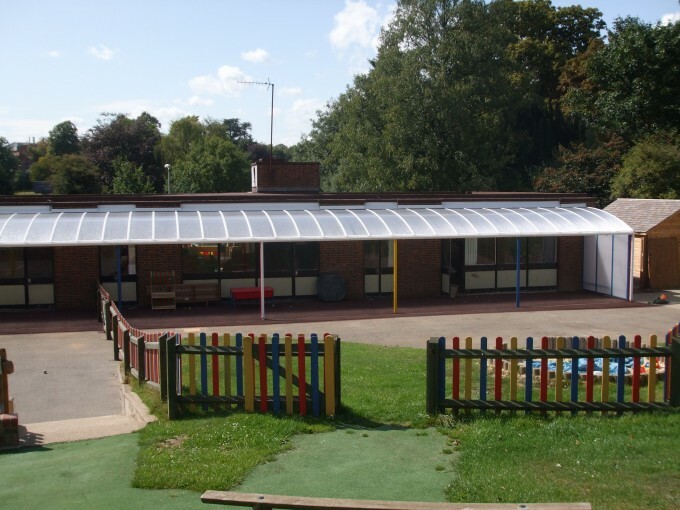 If you want to have a low cost, durable, outdoor covered walkway then Multicover can offer you a made-to-measure solution. 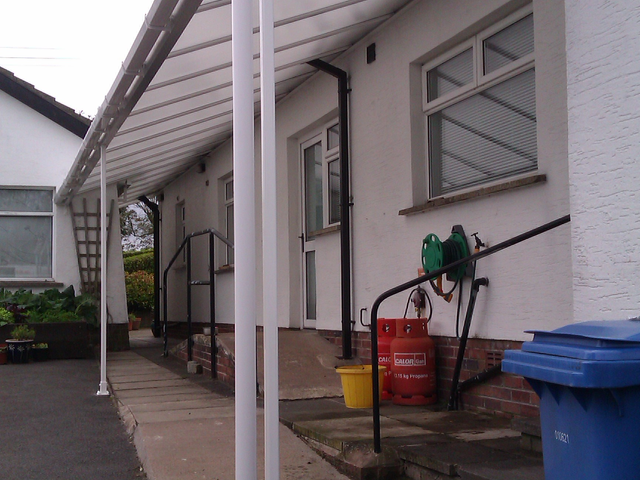 Our covered walkways allow people to move between buildings with protection from the weather. 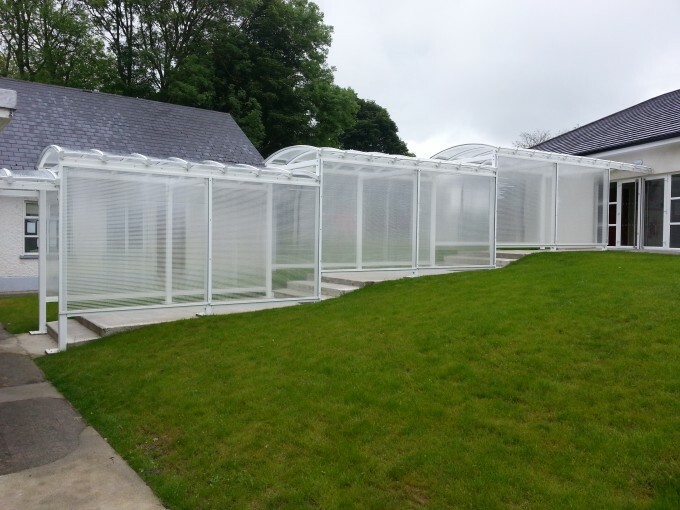 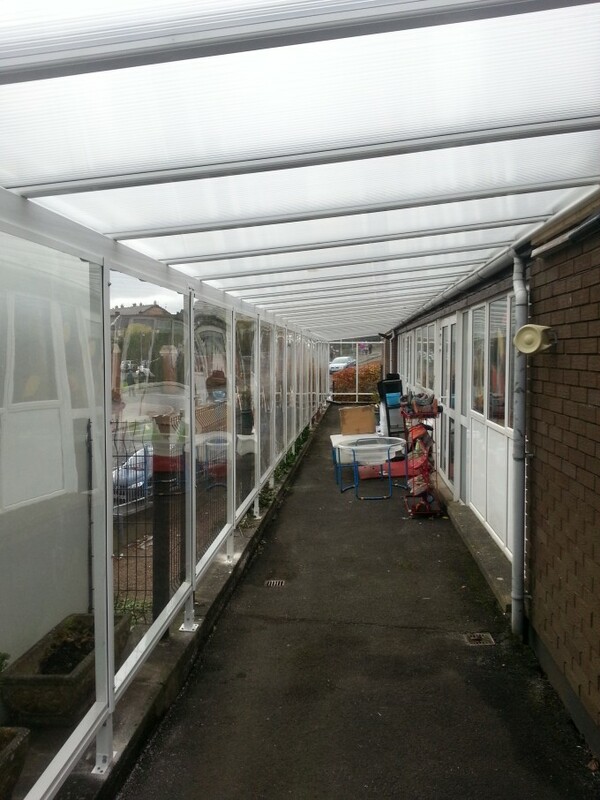 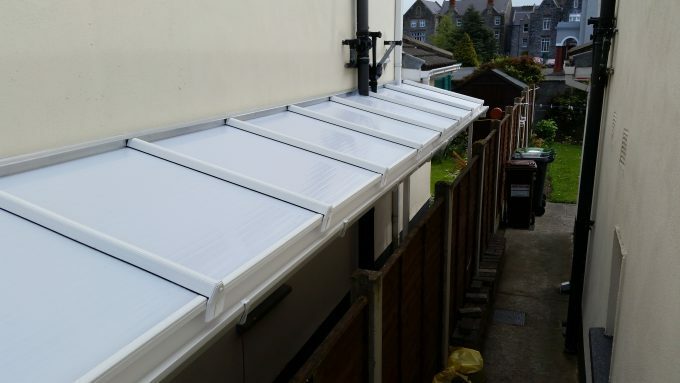 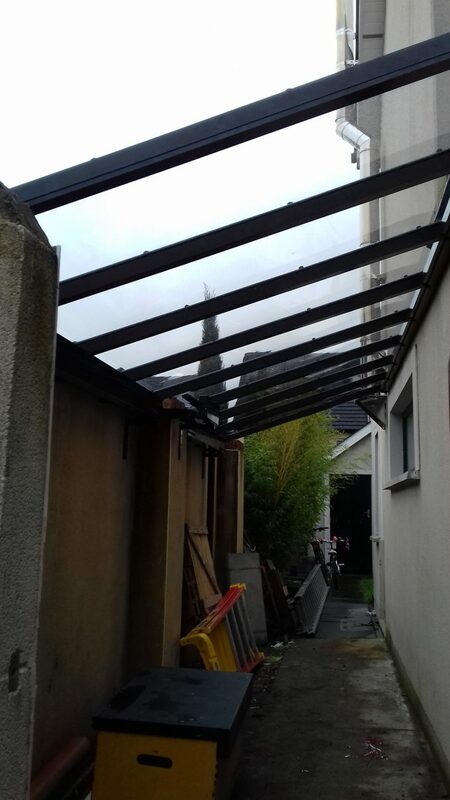 Our covered walkways are particularly suited to sites with multiple buildings such as schools, hospitals or commercial premises where it is necessary for people to move regularly from one building to another. 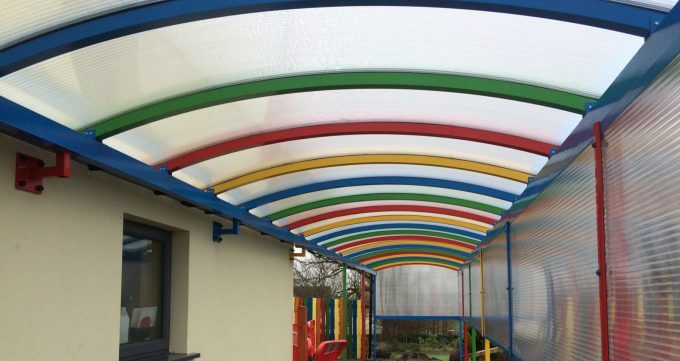 As we manufacture from rust free aluminium we can offer a choice of any standard RAL colour required which is powder coated after manufacture. 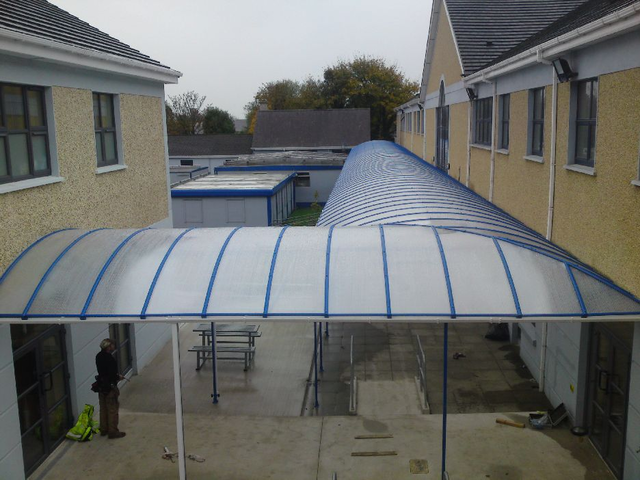 Each covered walkway is designed, individually manufactured and installed by our trained staff. 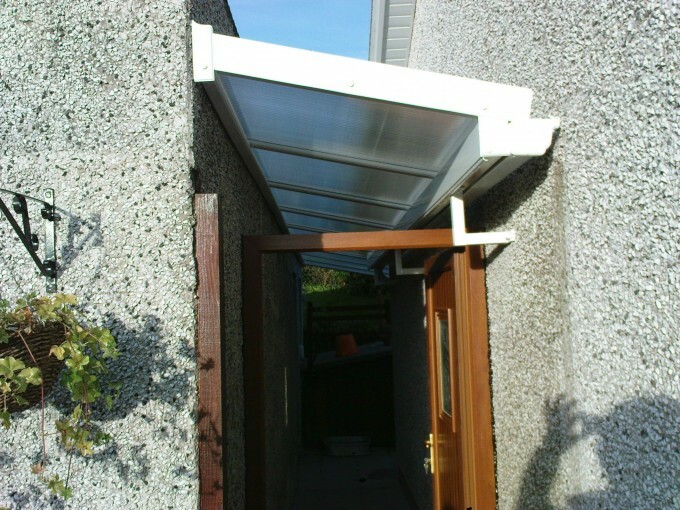 We pride ourselves on our personal customer service. 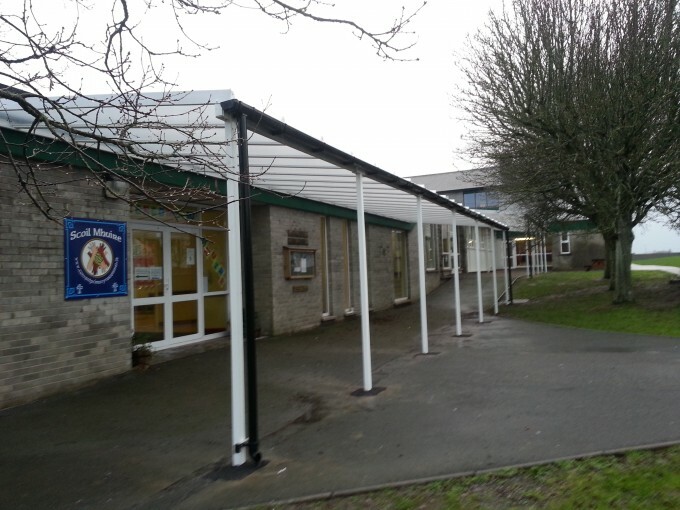 If you want to have a low cost, durable, outdoor covered walkway then Multicover can offer you a made-to-measure solution.